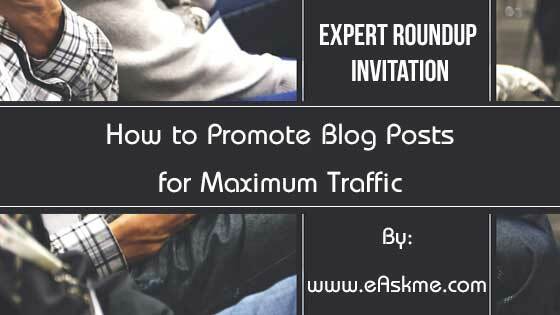 Inviting bloggers to this expert roundup. Share your best tips about "How to promote Blog posts for maximum traffic." Please fill your answer in this expert roundup form.